The 25th Annual Southern Appalachian Labor School Solidarity Cultural Festival will consist of a Dinner and Premiere Film showing of “After Coal” at 5:30 p.m. on July 12, 2016 at the Historic Oak Hill School in Oak Hill, West Virginia. “After Coal” profiles inspiring individuals who are building a new future in the Appalachian coalfields and South Wales. Music plays a major role in this documentary essay, produced at Appalachian State University by faculty member/film maker Tom Hansell who once was with Appalshop in Whitesburg, Kentucky. 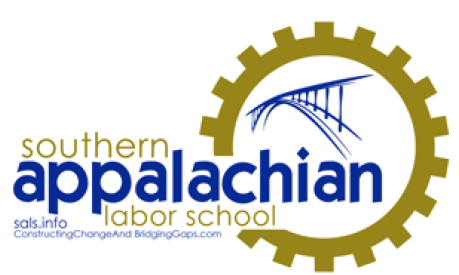 The film has fiscal sponsorship from the Southern Appalachian Labor School, and received financial support from the Chorus Foundation, United States Artists, and the West Virginia Humanities Council. The roots of the film goes back several decades when Appalachian scholar Helen Lewis, SALS co-founder David Greene, and others in a small group went to Wales when coal mines were being shuttered. In essence, the riveting film now returns to Wales to view the aftermath in the context of the current situation that is unfolding in the Appalachian coalfields. The film has already been screened at international film festivals. The Dinner and Film tickets are $25 at the door, by mail, or on line. Tickets for Unemployed Coal Mining Family Members and Students are $15. Scholarships are available and SALS has solicited donors for the scholarship fund.